The third generation Ford Mustang was built from 1979 through 1993 on what is known as the Fox platform. Today's Mustang comes from the first year of the major restyle that saw the replacement of the original 4-eyes front end with the smooth aero look. 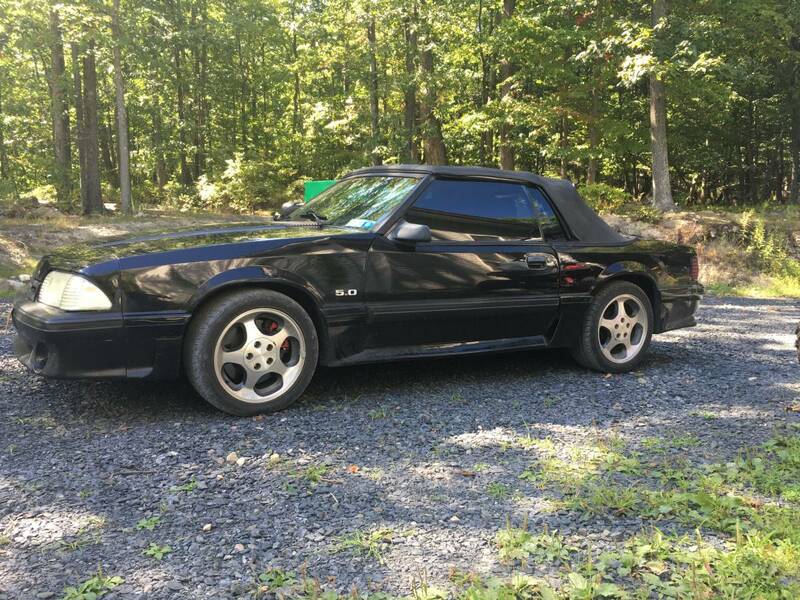 Find this 1987 Ford Mustang GT Convertible offered for $3,500 in Pine Bush, NY via craigslist. Tip from Rock On. The Fox Mustang offers a decent combination of sportiness and practicality for bargain prices -- just avoid examples that are highly modified or too banged up. 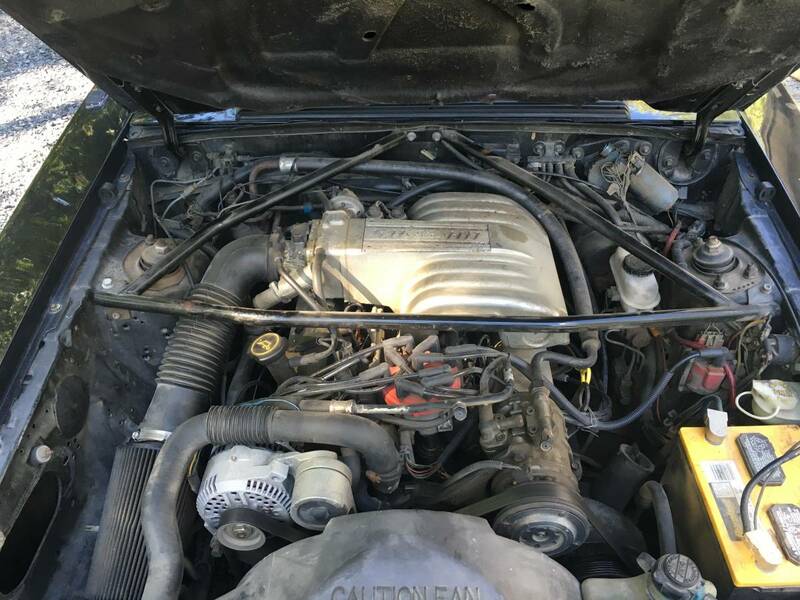 This one does have some aftermarket parts lurking around under the hood, but it seems like a decent deal. The 5.0 V8 under the hood is fuel injected to make 225 horsepower and 300 ft-lbs of torque, which doesn't sound like much in today's market of high horsepower V6s falling out of economy cars. 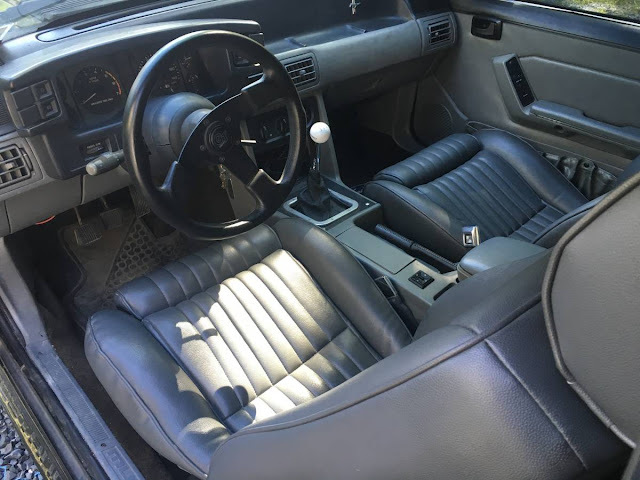 But the Mustang back in the 1980s was a quick machine for its time, and this one has a 5-speed manual gearbox. Looks like a good deal. The nicest thing about the Fox-body Mustangs is that they are so easy to work on. They are a car you could adopt and keep driving for a very long time. Also honest and well behaved on the road. Quick enough to be entertaining. If you must, more power is one a catalog away. I would be interested in a similar age/condition fastback. Looks like a 5 lug conversion. Nice. Does anyone have experience with reliability on these? A buddy had one back in the early 2000's and it seemed to always leave him stranded. I can't tell if that's because his was beat/poorly maintained or if it's a common issue. I put almost 100K trouble free miles on an '87 which was the first year of this engine and body trim. The only thing I ever noticed was that the locker rear-end was audible from the driver's seat. Best memory was setting a personal best time, (one-car Cannonball run) from OKC to BOS. No time to celebrate, as it was stolen the first night in Boston. Recovered a few days later and did the BOS-OKC run about 6 months later. The nose on this is cobbled up; it has bits from an LX and the front pieces don't match up well with the driver's fender. The holes in the trunk for the luggage rack should have let in gallons on NY rain, feeding the tin-worms, but hey for $3500, its a five lug converted 5.0 with (possibly upgraded brakes) and a huge after-market snorkus of an air cleaner. **By engine trim, I meant the fuel injected version with 25 more hp than '86. Are girlies on standby, waiting just to say hi, included in the sale price?